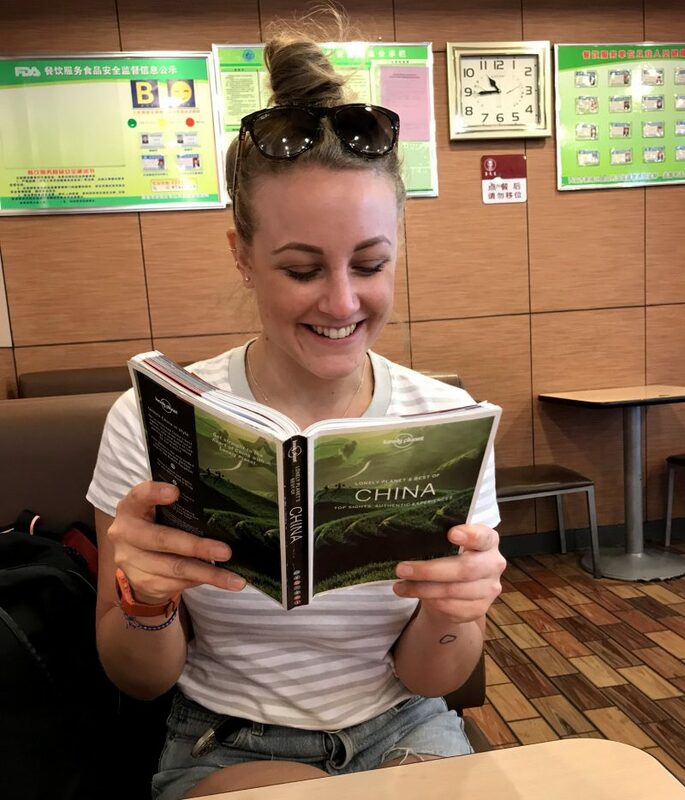 Here’s a few tips I put together based on my experiences in China this past few weeks – hopefully really useful if you’re visiting any time soon! Also, I absolutely loved this Lonely Planet China book, really useful and practical tips and has a short overview of a lot of top places and it’s all in colour. 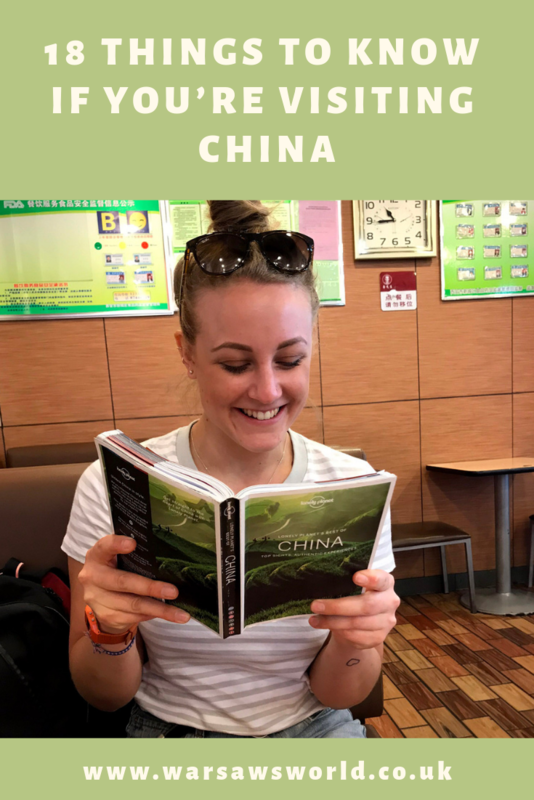 Read about the rest of my trip to China including my work project and travels other blog posts. WeChat is life – it’s like Whatsapp, apple pay, Facebook and much more, all in one application (or A-P-P, as the Chinese say). What’s interesting about China is that when it comes to technology they’ve actually skipped a whole load of developments that we’ve had, meaning that they’re ahead of the game in many ways. Cash is becoming uncommon for the Chinese with many places allowing you to use WeChat or AliPay to pay, and, according to my good friend Cherry this has grown massively in the past year alone. QR Codes are actually popular – I’ve been battling with people in the UK who want to put QR codes on posters and other marketing materials; “no-one will scan it”. Meanwhile in China, everyone is scanning bar codes everywhere. The vast use of WeChat to scan them for certain functionality has made the QR very very popular here. I take it all back. Uber doesn’t exist here – following an 18 month – ish battle with Uber, local car service organisation Didi, (who is actually has more cars in China than Uber does globally), won. If you’re visiting China you can download Didi and use it in the exact same way as Uber, charging things straight to an international credit card. Wired featured an interview with the Didi President recently which is really interesting, and handily came out just before I travelled. Get yourself a local SIM card – with so many apps that will help you when you’re out and about (apple maps, didi, wechat just to name a few essentials), I would recommend getting a local SIM card. It’ll make your life easier NOT to rely on wifi – trust me. Make sure your phone is unlocked before you arrive. Be VPN savvy – many sites are blocked in China, but with a VPN you can get access to all Google services, Facebook, Instagram and Whatsapp. It does however slow down any internet access you have, so only use when accessing those apps / sites. I bought Express VPN, about $10 per month and can be installed on multiple devices. Bookmark Bing – you’ll realise how many times you google things, once you can’t get on it! However, there are other search engines out there (crazy to think I know), and in fact Bing.com operates a pretty comprehensive search service and translation function. Make it your default search tool whilst you’re in China for easy searching. Squat & squat – yeah ladies, work those squats into your pre-China gym routine. The majority of the toilets are ground level squatters; which are technically more hygienic if you think about it. Bring your own loo roll and hand sanitiser, plus be prepared for doors that don’t lock. I’ve sneaked an accidental peak of a few other pee-ers this month. Amazing public loos – in all of the cities I visited, there was a lot of public toilets, and you might imagine they’re really horrible but they’re actually nice. I actually think the UK should take a leaf out of China’s book here cos we have the worst public loos ever. Passport & copies are essential – if you want to take a train for example you’ll need to have a copy of your passport as everyone is required to have their ID with them when they travel, even internally. It’s probably safer to have your passport with you at all times and I did read somewhere it’s actually against the law for a foreigner not to carry it at all times. Have both to be safe. Taking trains is lovely – with modern high speed bullet trains a key transport mode to get around the country, you’ll be between cities in no time. Book your tickets in advance (i.e. latest the day before) to avoid disappointment. Subways are foreigner friendly – every single one I’ve used has an English option to help you navigate. Food food food – food is pretty much everything here. Be prepared for lazy susans in every restaurant, everyone sharing from the same dishes and plenty of different options (especially if you’ve got Chinese hosts). If no hosts, try all sorts of things in your group to get the real authentic Chinese meal experience. It’s hard to read menus – where I stayed, outside of a main, big, city, there aren’t many people who speak English, and there is limited places that have English writing on menus. Sometimes they have photos which are super helpful. Google translate can work with the live camera translate function but often it’s poor. You’ll get the best food at these places though, so it’s worth the risk of just pointing and ordering something completely random. Alternatively, take a photo of the photo menu and then point at what you want. Use speech function on Google Translate – you’ll need to have it downloaded though, or be on the internet otherwise, with a VPN. This is especially handy for communication in local business services e.g. Laundrette. Addresses in Chinese – if you’re going to flag a taxi somewhere I recommend you have it written in Chinese characters; hotels / hostels will help you write this out. Most taxi drivers won’t understand otherwise (this is why Didi is handy). LEDs everywhere – everything lights up, flashes, is coloured. It’s like a mecca for glowing things (my hotel is flashing as I started to type this post). There’s plenty of drinking water – mostly hot boiling water handy for tea leaves or pot noodles, but often cold water for drinking too – carry a water bottle. Two Languages – most people speak Mandarin (simplified Chinese), but head south and to Hong Kong and everyone speaks Cantonese (traditional Chinese), some of the characters look similar (especially to someone who doesn’t understand), but in actual fact are very different to speak. Check online when travelling to know which cities / areas use which version of the language. I hope you find this handy – please do let me know if you have any other tips or if you consider any of this to be inaccurate!